Join us in congratulating Agnes Matilda Kalibata! 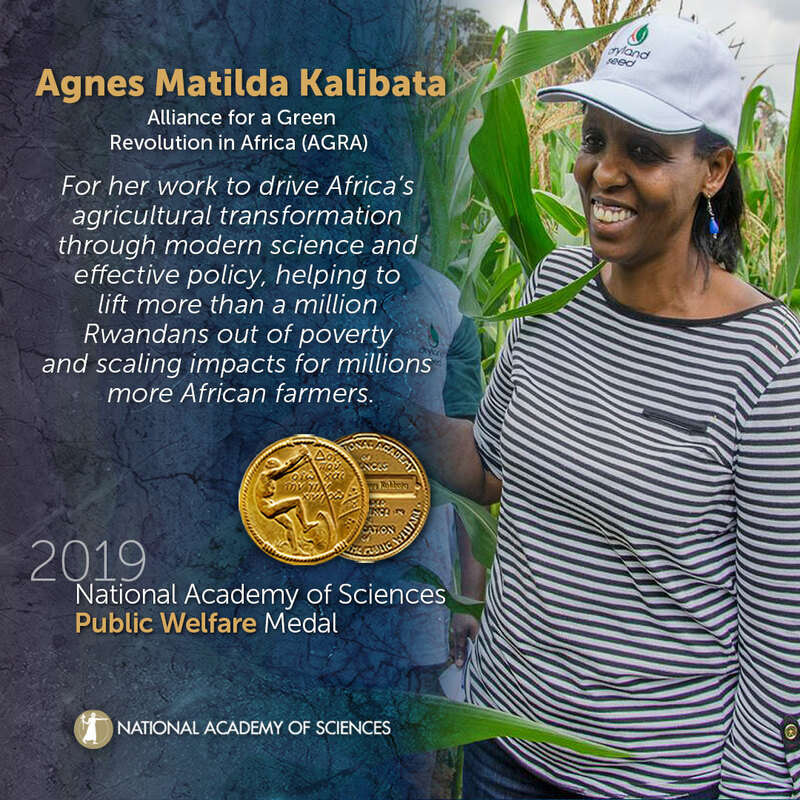 Agricultural scientist, policymaker, and visionary leader Agnes Matilda Kalibata will receive the 2019 NAS Public Welfare Medal for her work to drive Africa’s agricultural transformation through modern science and effective policy, helping to lift more than a million Rwandans out of poverty and scaling impacts for millions more African farmers. The NAS Public Welfare Medal is the Academy's most prestigious award, established in 1914 and presented annually to honor extraordinary use of science for the public good. Please use the following sample social media posts and other materials to congratulate Agnes Matilda Kalibata.